MPR was founded in 1970 and was originally known as Molded Plastics Research of Illinois, Inc. Since we were established, nearly 50 years ago, our team has been serving our customers in the Elgin community with metal replacement options. MPR has the capability of molding high performance materials that are suitable in many cases to act as a metal replacement in traditional applications. These metal replacements can function like metal but provide added benefits to their applications and our customers. 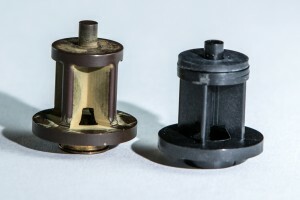 We are known throughout the Elgin area not only for our injection molding services, but for our ability to properly find clients a metal replacement that works as a more efficient alternative. To find out more about the benefits of working with a metal replacement in traditional applications, please call MPR in Elgin today at 847-468-9950. You can also get in contact with one of our knowledgeable representatives by simply filling out the online request form on this page. MPR is capable of providing our customers in the Elgin area with a plastic material that can act as an effective metal replacement. Our processing techniques allow MPR to maintain the physical properties in the plastic material by lessening molecular chain breakage during the drying and molding process to achieve optimal physical attributes. This metal replacement has many advantages to its traditional metal counterparts. For one, a plastic material metal replacement can be a weight saving solution. This metal replacement is also chemical resistant and has a continuous use temperature up to 500 degrees Fahrenheit. MPR offers over 80,000 materials that we use to design the optimal metal replacement for any application you may have in Elgin. At MPR, our customizable materials act as an affordable metal replacement for your applications in Elgin. A metal replacement can be much more affordable and easier to maintain than its traditional counterpart. MPR offers metal replacement services that are cost friendly as to not break your budget. If you would like to find out more about the metal replacement services that we offer in Elgin, please call MPR today at 847-468-9950. You may also reach out to one of our knowledgeable representatives with any questions by simply filling out the online request form on this page.